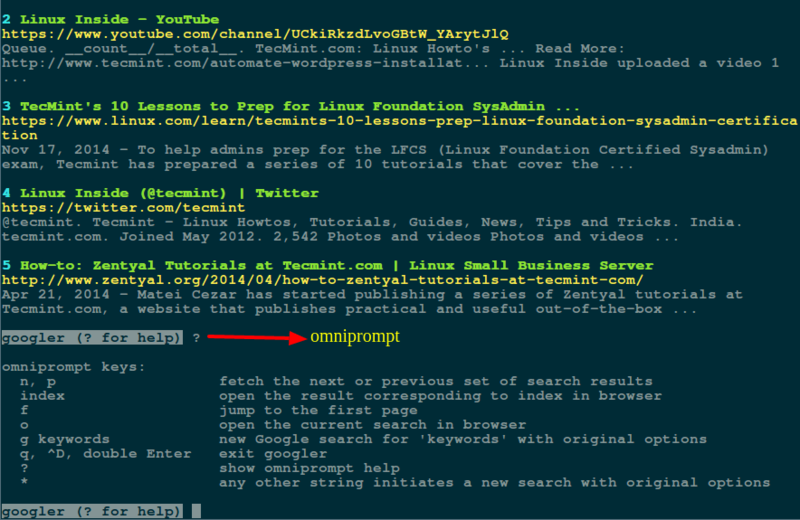 At the end of the search result page, you can view the omniprompt help page by entering the â€œ?â€ character and pressing Enter. 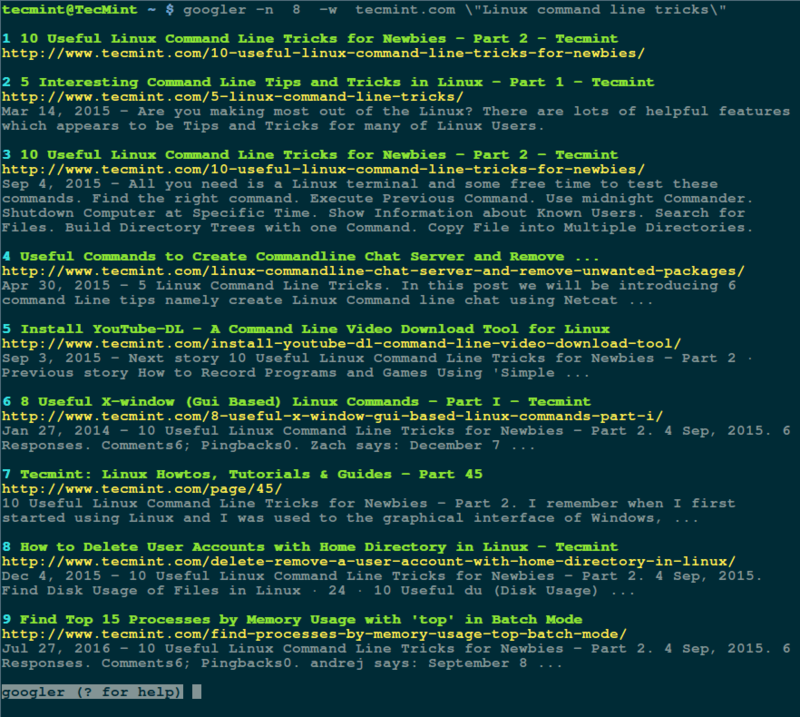 Each key has a detailed functionality description alongside it. 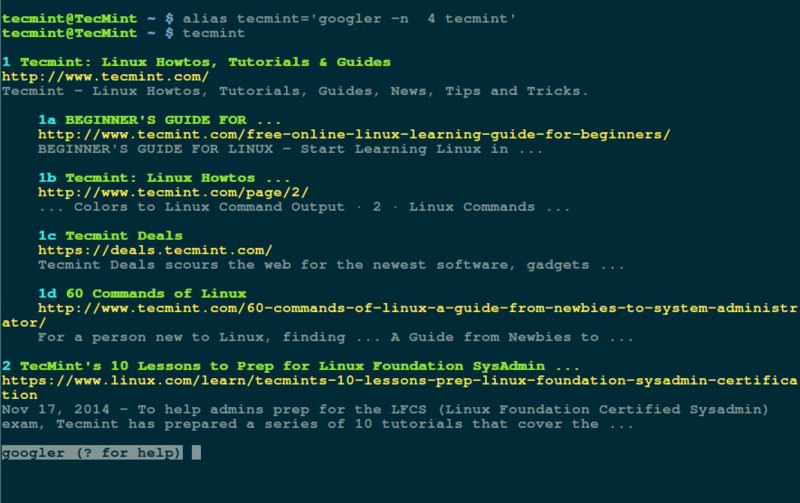 $ googler -n 8 -w tecmint.com "Linux command line tricks"
-n num â€“ tells googler to display at most 8 results per a page (default is 10). 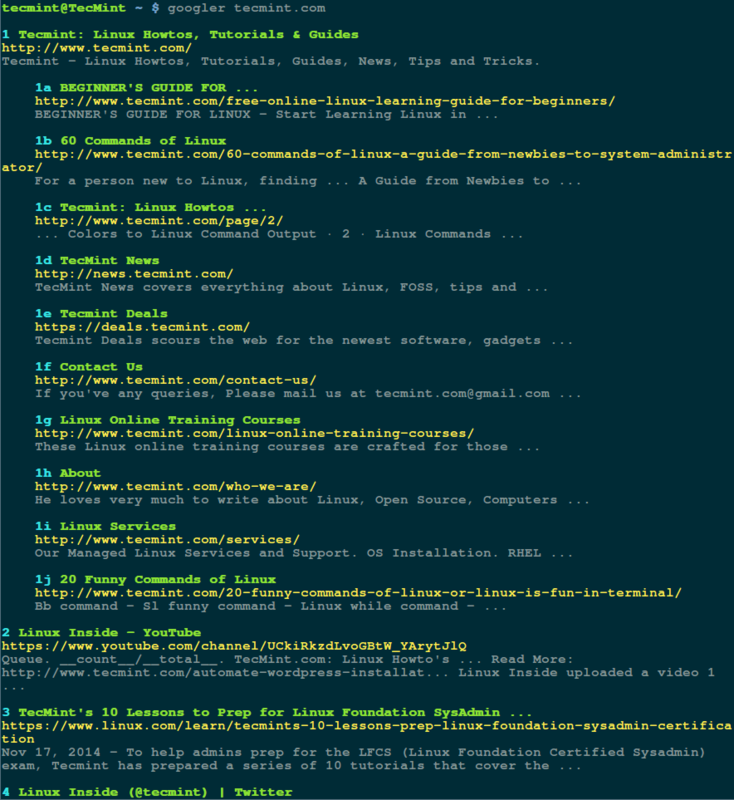 -w â€“ enables Google site(tecmint.com) search. 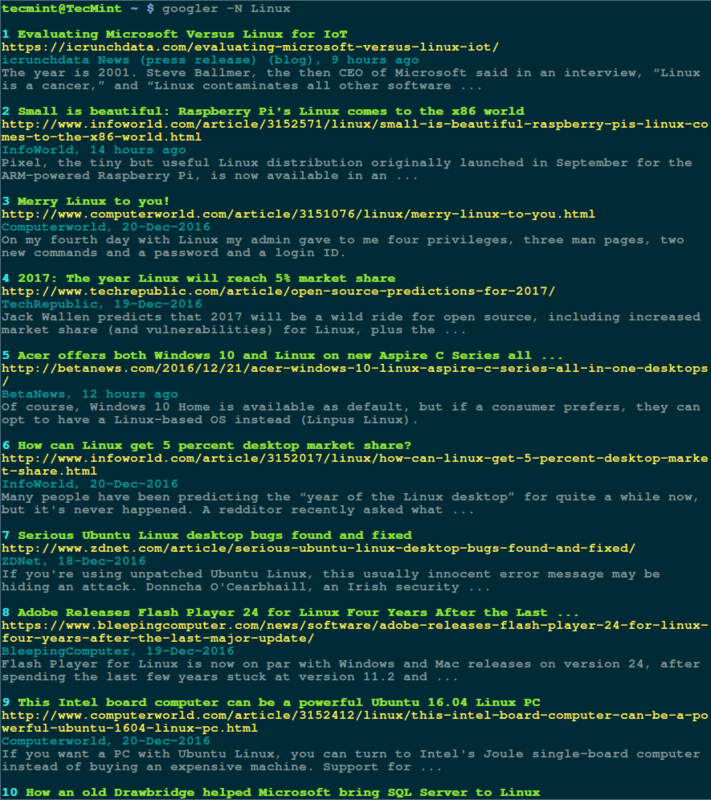 Googler: A Command Line Tool to Do ‘Google Search’ from Linux Terminal.